The functional improvements of the Kunsthal building, with the Kunsthal shop in the entrance area, have proven their worth in practice since the reopening in February 2014. 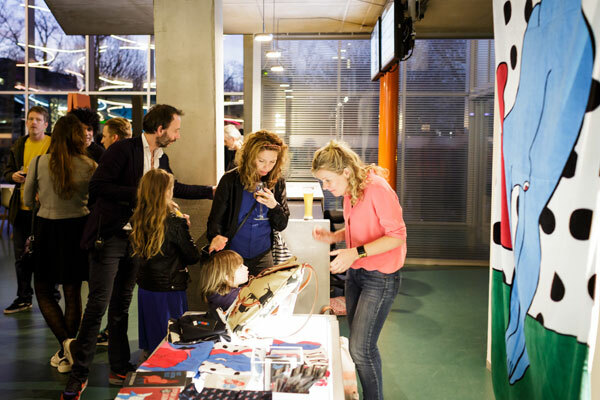 The revenue from the Kunsthal shop, a museum shop, concept store and souvenir shop, which has been run by the Stichting Kunsthal itself since 2014, rose in 2015. The range of innovative, sustainable and quality articles has demonstrably made it worthwhile to jump on the bike and visit the shop for an original gift. The shop regularly refreshes the assortment with new products that accompany the various exhibitions in the Kunsthal, such as exhibition catalogues, posters, books and exclusive artists’ editions. The regular collection includes products and gift ideas in which art, architecture and design feature prominently, with special attention for Rotterdam producers and special Kunsthal branded articles. 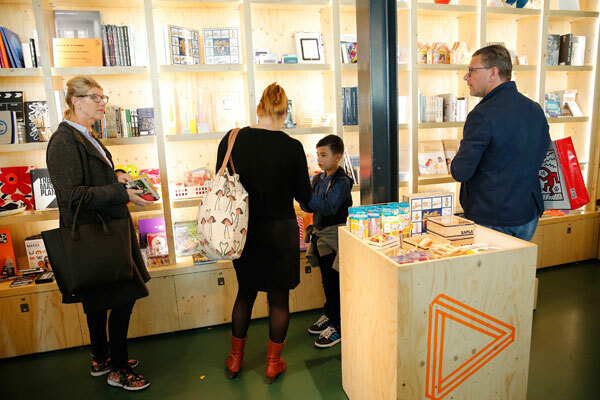 When a large-scale exhibition is held in the Kunsthal, a Pop-Up Store is placed with a wide range of exclusive articles for young and old near the exhibition space. 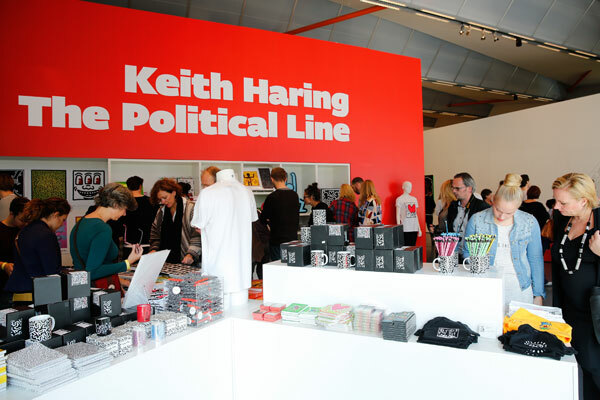 The successful Keith Haring Pop Shop in Gallery 2 contributed significantly to the increase in turnover. This shop designed completely in style at the end of the exhibition sold Keith Haring catalogues and related products. Besides Keith Haring T-shirts, bags, mugs, children’s clothes, toys and interior decoration items, of course the typical Eighties badges were on sale as well. Naturally there is always something left to be desired. Plans were made in 2015 to organise the entrance area in an even more efficient manner by linking the entrance and shop desks. We intend to carry this out in 2016.